Brand new toys for Thargoid Hunters in Elite: Dangerous. S:C: Is the new information about the ships helpful and informative? Or is it all coming much too late to matter for you? E:D: Still enjoying that gadget of the week? Have enough room in your storage for all the new toys? Tell us what you think, contact details are coming up. GF: Lay it on us. Don’t hold back. Are we betraying a sacred trust? Is a format change long overdue? Want to make sure the door hits us on the way out? Sad that you’ll be taking an extended leave from Star Citizen and will miss your measured reporting on the project but I can understand the frustration. Love your work but I’m not that interested in Elite so I’ll be signing off with the format change. Hopefully when some more meat in the game comes to SC, you’ll be back. I tune in every Tuesday for SC updates as my time is very limited, I don’t follow any other podcast and what brought me here was Star Citizen back in 2014. I can completely understand the format change but I’m just not a fan of Elite, I do enjoy the Squawk Box segment and I will miss that. I wish you guys the best of luck and will return once you start covering SC again. Intro commercial uses one of my favorite pieces of music. Please dont let SC go to the Star Trek school of external ship damage causing explosions on the bridge control systems. The new information just confirms what i expected. I backed SC long enough back that I got LTI on my Hornet, and I’m a patient person so I’m just on hold with the game, but I have put hundreds of hours into Elite Dangerous and it’s my go to game now. I’m happy to see the format change and I think it’ll be good for the show in the long run. Couple of questions:. Are you planning on creating a search and rescue Squadron in ED, if so how will you be teaming up with the Fuel Rats, who already full that roll. My other question is are you going to limit access to your Squadron, if you create one, to patreon backers or will there be other avenues to join? Great show and I look forward to many more episodes, this podcast is my favorite. P.S. check out the desktop app Deskpins, I think it deserves a mention on this podcast because it’s great for those long trips to Hutton. As far as the ship info, I’ll take it! Not many things come quickly from CIG, didn’t expect the ship matrix to either but perhaps they’re in a better situation to lock down stats than before. Is it true that the new site will tie into the CIG data base and update live? As for the format change of the show, I look on with apprehension. I don’t play Elite so I hope I can relate, but it doesn’t look like SC will have the kind of content your looking for until 3.2 (or higher). I’ll stick with you guys as long as I still can connect with the show, please don’t purge SC altogether. We’ll cover any SC news for sure, it’s not being shunned! Been listening in the background for a while, but had to comment on the format change: I think it sounds great. I was excited to hear Tony explain the plans for the new format and ED focus. Hope you all are able to have a lot of fun with it. I don’t get to play ED as much as I’d like, so I’ll just have to listen to you play it. With regards to the information from CIG, it’s really too late for me. I backed way back around the kickstarter days, and I’ve stopped listening. I decided a while ago that anything I put in was a sunk cost, and I’ll just wait to see if I get anything out of it. Keep up the good work, and see you on the other side. With the possible changing of ship stats, melting ships is not always a favorable option. If you have a physical reward package not only do you lose the rewards, but you have to re-buy SQ42 at the new higher price. Dare I mention “downgrade system?”… maybe not. Anyway, looking forward to see how the new format goes. See you in the bubble. sorry you had to edit my comment i use voice to text when im driving and listening to the show . even though your changing formats again i think it will be for the better . i see you dropping SC as one of the main focuses a good thing . i believe you wont be last ones to do so , SC with the continual delays and lack of any real communication with its base its hurting it self. i can understand wanting to keep things close to the chest its just part of business . the issue is SC started with an open door and has been slowing closing it , hell some streamers like WTFosaurus were worried about what to do because they built their whole twitch career around SC off of what CR was promising . then the content being released dried up and sadly i believe the hype train is running out of steam very fast . i personally uninstalled SC to settle in for the long wait its going to take a hell of a lot of content to be released and better communication like the old days to rebuild my trust in the CR brand . at least i have you guys to get me past the misleading information * cough “Lies” * released by the development teams of the games that may or may not be released with in the next decade LOL . Love you guys keep it up and if we ever ever get to the deep black in SC my Prowler is on call for you guys that is is CR doesn’t redesign it 5 times . 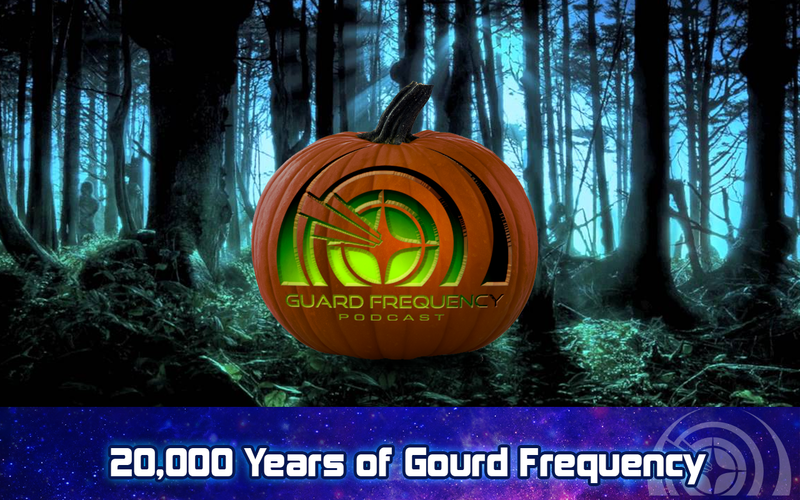 I started listening to Guard Frequency around episode 120 because as a Star Citizen skeptic I wanted to better understand the opinion of those who supported the game. I ended up listening to every show since, because the Guard Frequency team are so passionate and interesting. I’m a Elite:Dangerous player and a D&D fan, so I’m super excited about the new format and the new podcast! Fist let me say thank you for all the information and entertainment you have provided over the years. I totally get why you are changing the format of the show and I suppose it helps me finally come to terms with the fact that in reality Star citizen is at least in the short term a non-starter. Unfortunately I am not a fan of Elite Dangerous, so unfortunately this is probably where our paths separate. Wishing you all the best with your shows going forward.